1:54 Contemporary African Art Fair returns to Brooklyn, New York for the second time. The fair has just announced the participating galleries and artists that we can look forward to seeing this May! 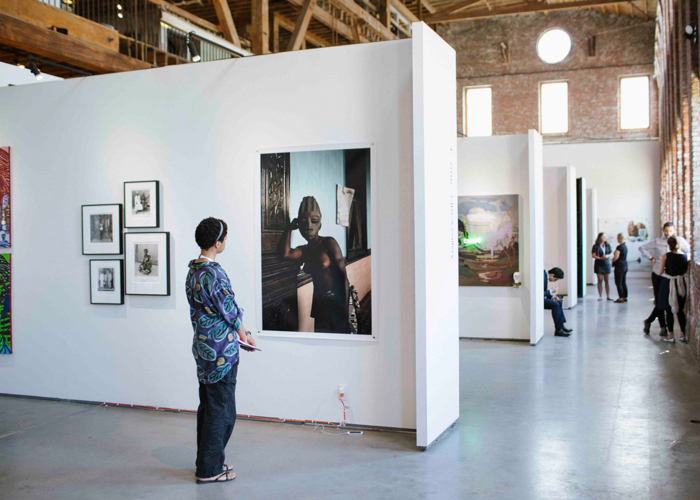 The transnational art platform, 1:54 Contemporary African Art Fair, will return to Pioneer Works in Red Hook, Brooklyn, where it launched in 2015. Coinciding with Frieze Art Week, the fair will run from 5-8 May 2016. In a veritable buffet of art and culture, the 2016 edition of 1:54 will showcase seventeen galleries from nine countries, in addition to an impressive selection of works by over sixty artists from twenty-seven countries working in diverse mediums. The fair will also include an educational and artistic programme curated by Koyo Kouoh; featuring lectures, film screenings and panel debates, with leading international curators, artists and art experts.